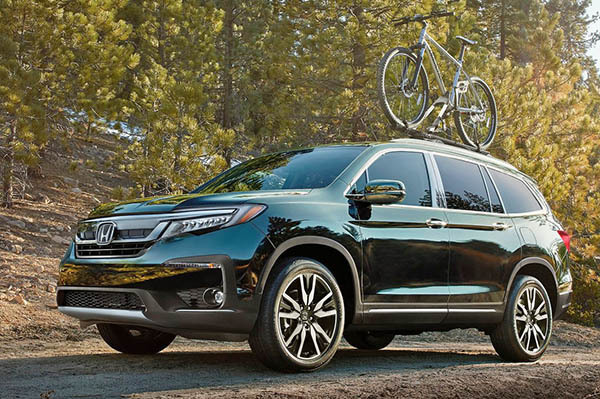 Honda released a few more pictures of the revised 2019 Pilot. As expected, it is pretty much the same car. Most changes are upfront, where they are trying to make it a bit more aggressive. Yet a bit cleaner. With a bit more of an off road look. Honda sold almost 130 000 of them last year. Pretty good. 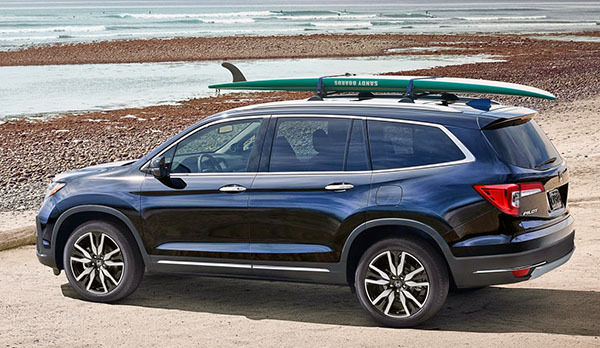 Compared to the Chevrolet Traverse with sold 123 506 units. 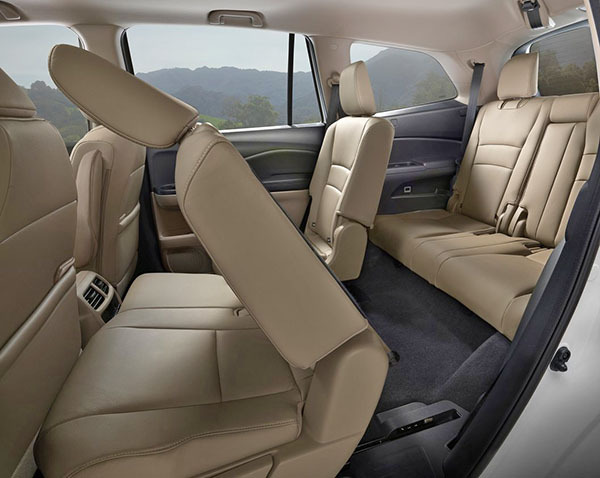 But not when compared to the super popular Toyota Highlander with almost 215 000. I am not sure Honda did enough with the Pilot. A few more changes would have been welcome. I guess they are saving all the good stuff for the next one in a couple of years. Glad they got rid of the shifter, which always looked like something from a 1980's toy. Meh. Still looks like a minivan. I liked it when it first came out a couple years ago, was a nice replacement from the previous box. But kinda boring now compared to the newer Mazda / Hyundai SUVs it competes with. And the crab claw taillights aren't helping anything for Honda! 2019 has more masculine looking front grill but overall, it still looks like a smaller minivan. I don't get the comments about it looking like a minivan, I don't think it does at all. Besides, what's wrong with looking like a minivan? mild refresh, it does looks more current, still a lot of hard looking plastic inside when compared to interiors like CX9. But it's still a very practical family vehicle without being overly enormous. I heard a plug in hybrid is coming next near - a family SUV that get good mpg sounds like a winner to me.